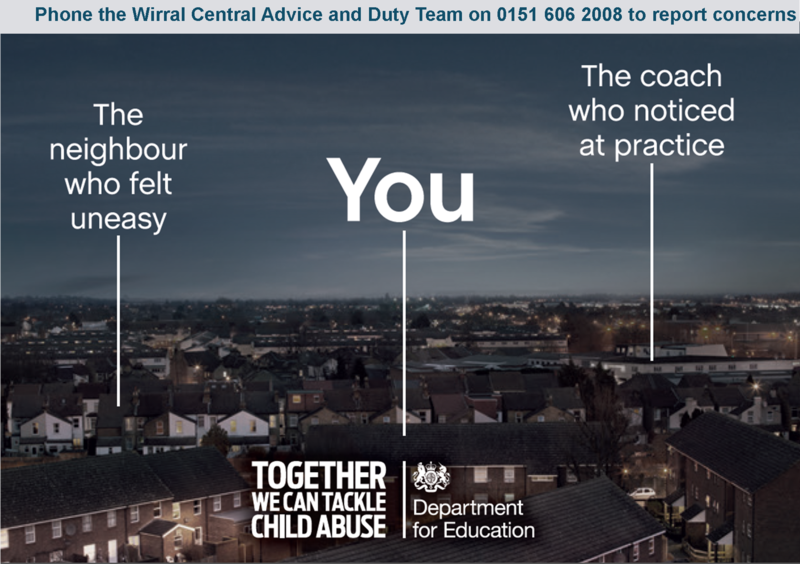 The Wirral Safeguarding Children Board is supporting the government’s new ‘Together, we can tackle child abuse’ from the Department for Education. The campaign which is being rolled out nationally aims to encourage the public to report any concerns they many have in order to get help to children more quickly, as research shows that up to a third of people who have concerns about child abuse do not go on and report their concerns. Included with the campaign is a video and other materials such as posters and leaflets designed to raise awareness amongst professionals and the wider community about child abuse and the importance of reporting concerns as quickly as possible to ensure children and young people are kept safe. The safeguarding board has created a webpage which includes the safeguarding message and resources.